As a former runner and someone who is getting back into running again, my feet have had it rough. If you have been a runner before, you know what I am talking about. You get blisters, calluses, etc. To keep my feet looking nice, I like to do my own pedicure at home. Don't worry, I am not going to post any pictures of my feet here ; ). 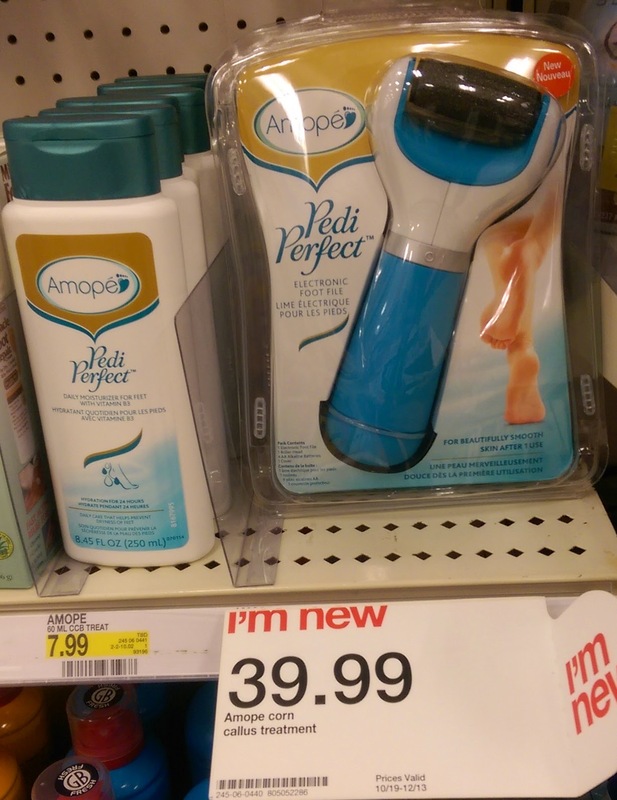 I recently purchased the Amopé Foot care Products at Target to try out. These products are brand new. In fact, when I was looking, some stores didn't even have them yet. 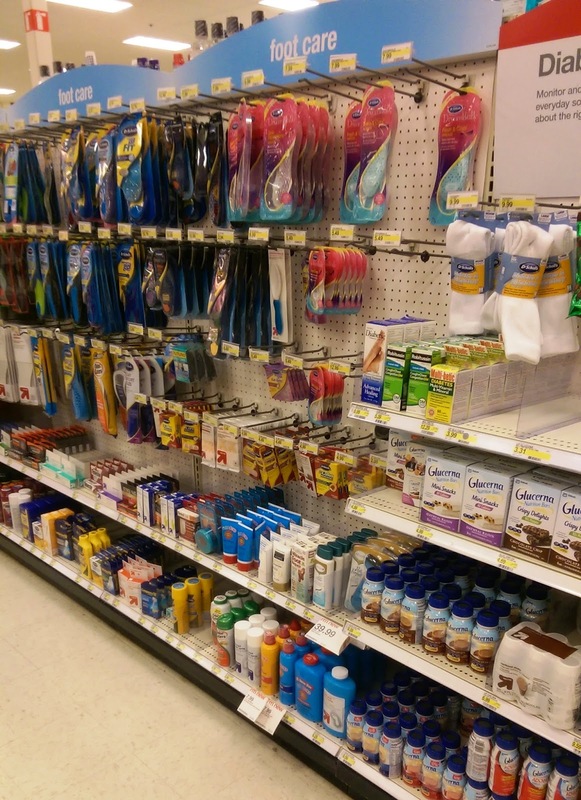 They are located in the foot care aisle, not the beauty aisle so keep that in mind. I tried out the Amopé Pedi Perfect and Amopé Foot Cream. Now realize, with a baby, I am very short on time. I have never been the type to take forever to get ready anyways but now, my time is even more limited. When I do not take enough care of myself, I feel gross though so I am trying to make sure to fit in time to take care of myself. These products have been great in doing so. Now, the skin on the bottom of my feet is tough and pretty much always is. My feet could use some softening for sure. This brand Amopé is Portuguese for "love your feet", It is made for women to respect their feet and enjoy every step. I have been using these products for a few weeks now and can say that I love them. They have helped to get rid of the dead skin on my feet and make them feel a lot softer. The Pedi Perfect is an electric foot file and removed hard skin in just one use. To use, you just need AA batteries. I like how quick it works to remove dead skin. In the past, I have used pumice stones to help get rid of the dead skin but it is a lot more work and not as effective. There are no sharp blades, and it is safe to use. It is to be used on dry skin, so you do not have to soak your feet before which is very nice since it saves time. I like the foot cream as well which is very moisturizing which is perfect for this dry weather that has started. I use this moisturizer right after using the Pedi Perfect. Both of these products from Target have helped to make my feet so much softer which I love. I am going to tell my mom about this product as well because she has very dry skin and calluses on her feet and would really like one of these.